Weird to have the date bought on the tag. I know KS has 60 day temp tags so say if you bought it 1/19/2019 the tag will say 3/19/2019. Missouri is just 30 day tags. So it would say 2/19/2019. Mazda always wins for me. ya im pretty sure arkansas is the same way but we bought in OK so we'll see how it all goes. oh ya they have tons of tunes.. like 4 or 5 main ones plus more small ones... some dealers even offer warranty approved tunes! they have tunes that optimize with minor stage one tunes, or tunes for CAI and new down pipes that offer a really good boost. the base tune for the stock engine is +67 hp and +93 lbft if you add in a CAI, that goes to +78 hp and +108 Tq so i could be past 300 tq and about 300 hp for about a grand... i would probably keep it all mild.. it has a good powerband currently so im not wanting just yet but give it a year or so and that will probably change..
How long is the warranty for the tunes usually btw? but as an update here i got the car back from the body shop and they did a great job.. well worth the month they had it (weather and logistics delays) to make sure they got it right. 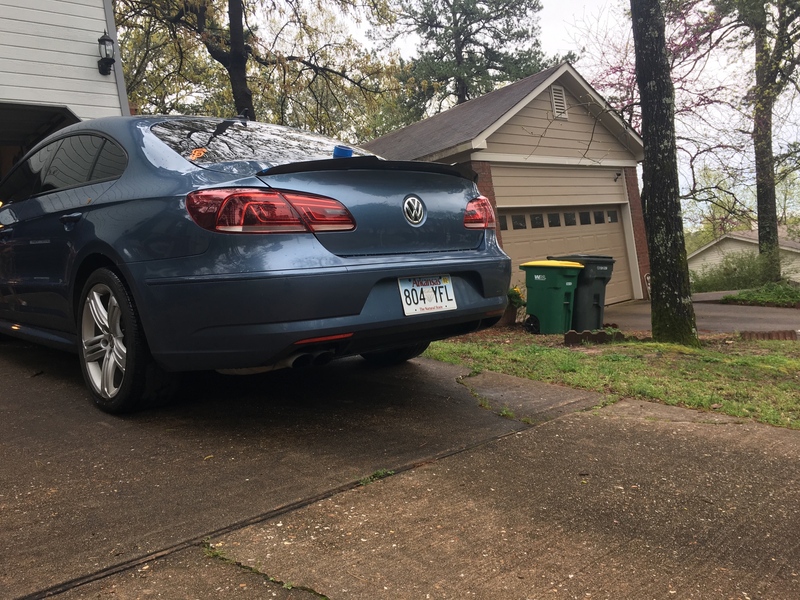 had them leave the badges off the trunk when they sprayed it in and saved me the time of debadging.. after i picked up the car, my wife went into labor and we had our son 5 hours later! now to start ordering parts! 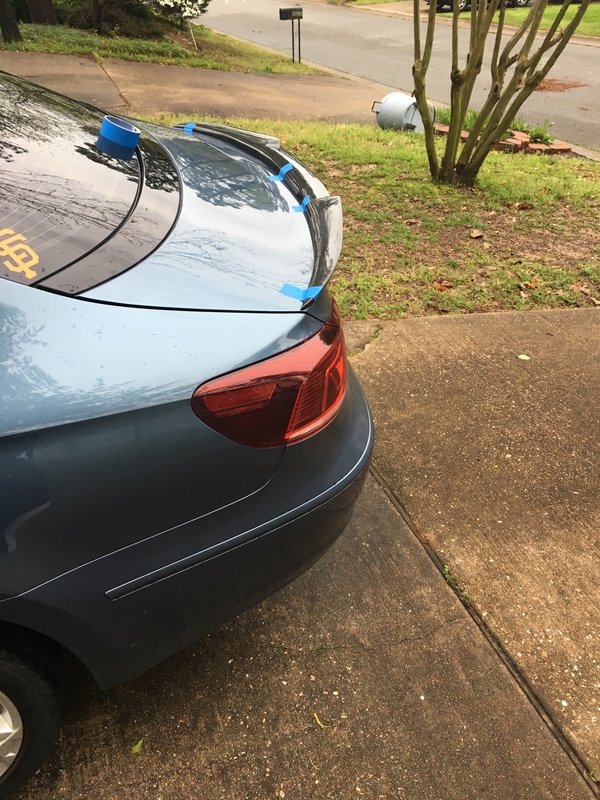 put in a LED strip for the trunk light like i had done in neons prior and it makes it so much better. 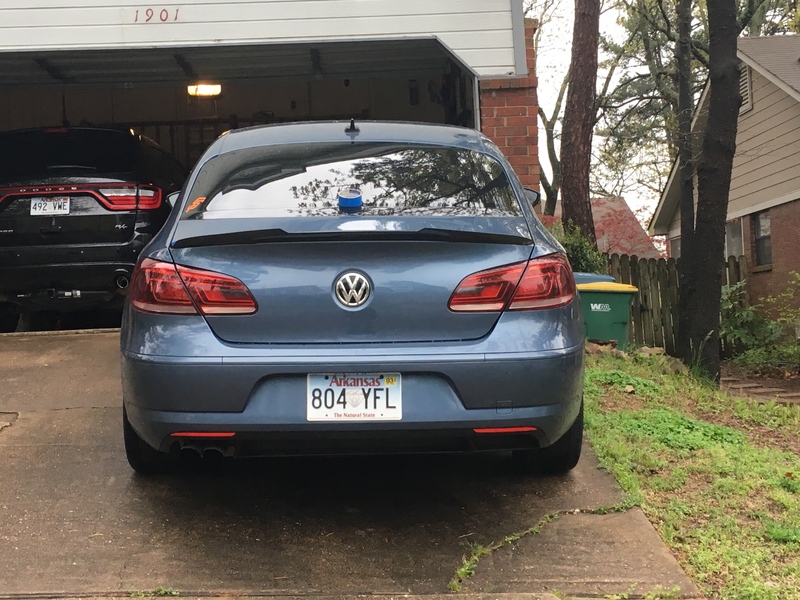 this is a great 20$ mod for any car with a trunk! I got the carbon lip spoiler in that i ordered, i love the way it looked from behind... blended well with the curves of the rear end but really didnt like the way it just had a blob sitting on top of the trunk like that so im returning it unfortunately... but these pics also show off the debadged rear which looks good and was "free"
Also my wifes 14' R/T Durango for some mopar content..